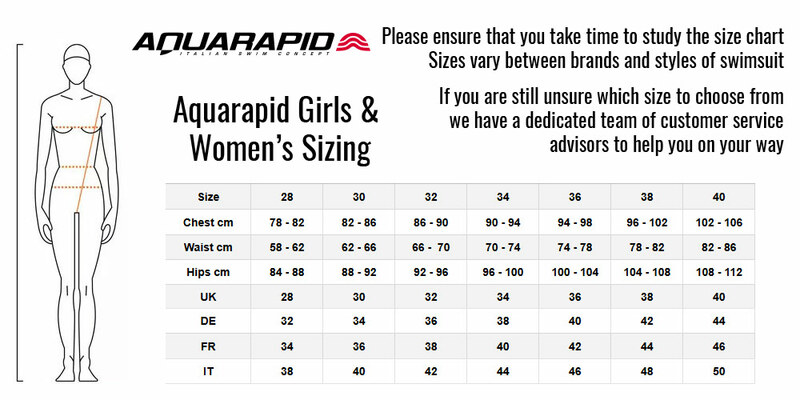 The stunning Aquarapid Women's kiss Bikini combines exceptional levels of comfort and performance with a vibrant and colourful design. The costume's retro back design is dynamically shaped and offers a perfect fit, making it easier for water to flow along the body and reducing drag. With Aquarapid's kiss-inspired print sure to stand out poolside, this costume really is the perfect all-round choice.